Cats are carnivores and need the nutrients found in raw meat, organs, bone, and even hides. If you are like most cat owners, serving up a live bird or mouse is out of the question. By making your own cat food, you can give your cat the next best thing. A trip down the supermarket cat food isle can read like an international culinary festival. Brightly colored packaging offers up such gourmet items as Salmon Florentine with Garden Greens, Yellowfin Tuna in Sauce, Beef Feast in Roasted Beef Flavor Gravy, Pâté, Salmon with Chunky Tomato Bisque . There is even a canned cat food named after a famed sushi roll. Along with the ‘fish flavor’, the can boasts other sushi roll ingredients such as cucumber, rice, and carrots…and perplexingly, apples. While these offerings may evoke the idea of tasty meals for humans, are they representative of what a cat is designed to eat? To achieve optimal health, it’s important to feed your cat that which most closely approximates a natural diet—food appropriate for your cat’s physiology. Cats are obligate carnivores, meaning their digestive systems are designed to eat one thing: meat from whole, small prey. In nature, a cat’s diet consists of small prey—birds, small rodents, lizards, snakes and insects—which they eat whole and fresh, including feathers, fur, skin, blood and bone. By eating whole prey, cats get a balanced ratio of calcium from the bones, fiber from the feathers or fur, and iron and protein from the meat and organs. Other critical nutrients, such as taurine, are obtained from eating the eyes of their prey. While store bought cat food may have supplements to add these nutrients, there is truly no substitute for a balanced raw food diet which mimics as closely as possible what a cat would naturally eat in the wild. In a 10 year study involving over 900 cats, it was found that cats fed only cooked meat exhibited alarming increases in degenerative disease, parasites, skeletal deformities, and behavioral changes. In stark contrast, the cats fed only raw meat exhibited excellent health. Cats never eat cooked meat in nature, and their systems are not designed for it. Cooking denatures proteins and destroys up to 50% of vitamins. Moreover, the essential amino acids that are crucial to the optimal health of cats—which exist i n abundance in raw meat—are completely destroyed by heat. Cats seek out grass for a variety of reasons, mostly to do with digestion and assistance with hairball removal. 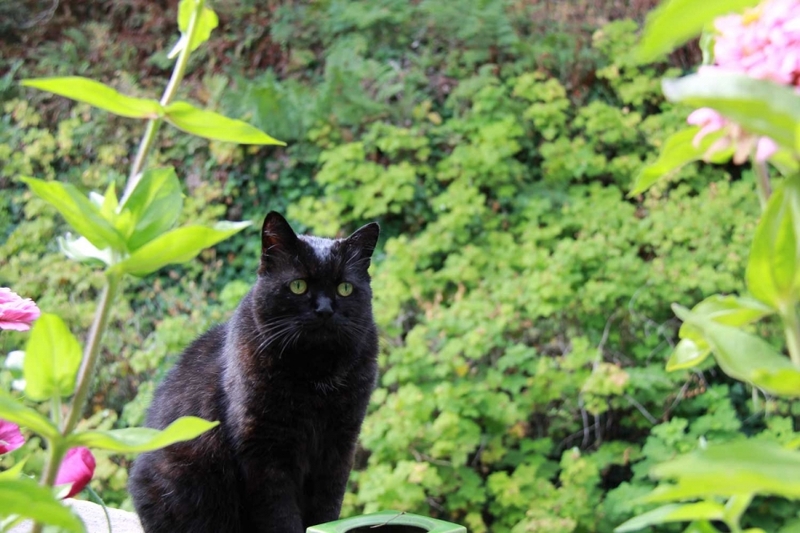 It is a good idea to grow a pot of organic grass for your cat (barley or wheat grass). This will give your cat an alternative to the grass found in landscaping, which may have been sprayed with pesticides, herbicides, or chemicals. You can easily purchase grass for cats in many supermarkets, or grow your own cheaply from seed. Commercial cat food contains vegetables and grains, the latter included as a filler. Not only is this completely unnecessary, it is also difficult for cats to digest, as they are not omnivores and do not have digestive systems fit to process large amounts of vegetables or carbohydrates. Vegetables and grain do not represent food that a cat would seek out in the wild, and vegetable protein found in grains or soy are not an appropriate substitute for that found in raw meat. Aside from the simple observation that nothing that comes out of a can or pouch can approximate a cat’s natural diet of raw whole prey—not to mention dry kibble, which hardly qualifies as a food product at all—the ingredients used in commercial cat food are typically very low quality animal byproducts that are processed to oblivion. The animal byproducts are rendered, texturized and extruded, using high heat and chemicals such as Birkolene B, carbolic acid, creosote, fuel oil, kerosene and citronella. Add to this a strange mix of ingredients your cat was never meant to eat, such as grain, vegetables and extracted grain proteins—to boost the protein content on the label, even though vegetable protein is not appropriate for cats—and you end up with your typical can of cat food. In 2007, a massive recall was initiated in North America, South America and Europe on hundreds of pet food products found to be tainted with melamine—an industrial chemical used to make fertilizer and plastic. Over 8,000 pet deaths from the tainted food were reported in the US alone. This was traced back to at least two Chinese companies who knowingly supplied melamine tainted wheat gluten and rice protein—two forms of cheap protein used in commercial pet food—to hundreds of pet food manufacturers around the world. This incident, and the many pet deaths from renal failure that ensued, helped focus minds on the importance of knowing what was in pet food. There is a debate among veterinarians regarding the safety of a raw diet for cats, however with the right knowledge and precautions, a raw diet can be very healthy and successful. Eliminate carbohydrate fillers such as rice and wheat. No danger of contamination from pet food ingredient suppliers. Your cat will reap the benefits of quality ingredients and avoid exposure to pesticides, hormones, antibiotic residue and other contaminants found in factory farmed meat. You know what you are buying and where it comes from. Excellent health for your cat means lower vet bills over time. Buy the best quality meat from a trusted source. Use only one kind of meat at a time. For instance, if you are using chicken muscle meat, also use chicken organ meat. Mixing meat from different animals in a single meal can cause problems for cats, who have evolved to digest one kind of animal at a time. Use safe food handling procedures and refrigerate or freeze cat food to avoid spoilage. Remove any food your cat has not eaten after 30 minutes. Educate yourself. There are many resources and forums online to help you get started. Consult a veterinarian who encourages raw meat diets for cats. Avoid giving your cat anything in the allium family, such as garlic, onions, shallots, etc. Chocolate is toxic to cats. 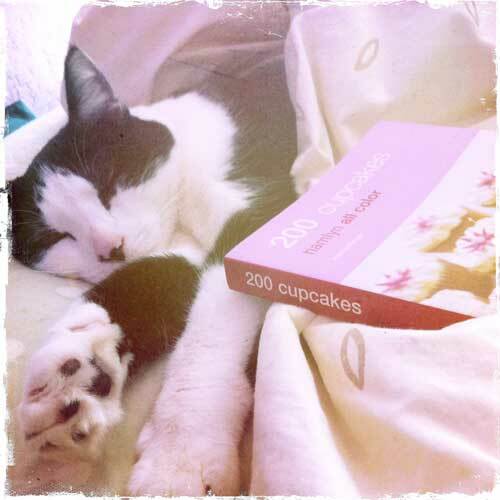 Sweets are not good for cats and promote tooth decay. Cat’s don’t need their food flavored. Do not include spices and salt in their food. Never use a microwave to thaw frozen raw cat food. Even low settings can destroy nutrients and enzymes. You don’t have to use premixes in order to create a successful raw diet for your cat, however using premixes like the ones listed below can help save you time and money, while ensuring that all the needed nutrients are available for your cat in the correct proportions. Feline Instincts is a brand of raw diet premixes which you add to the raw muscle and organ meat of your choice. All their products are USDA approved and have the support of a wide group of holistic veterinarians. Feline Instincts brings to light a good point that cats being carnivores do not eat a diet high in wheat, soy, or corn in the wild, so why should they eat that diet, designed for an herbivore, as our pets? The premixes are complete with the nutrients that your cat needs in an easy to use powder. TC Feline is another brand of raw cat food premixes that offers a balanced, nutrient rich powder that you add to raw meat and liver or organs. Premixes are a convenient way to ensure all your cat’s needs are met. All you need to do is buy clean, wholesome muscle and organ meat. You can mix a day’s worth of food, or you can mix a larger batch and freeze individual servings in reusable containers or ice cube trays. If you want to make raw cat food entirely from scratch, do some careful research into exactly what cats require and in what ratios. It’s very important to get the balance correct to ensure your cat’s excellent health. This raw cat food recipe is adapted from Natascha Willie of TC Feline. Always use human grade ingredients. Separate the yolks from the egg white into the bowl you set aside for mixing this recipe. Egg white cannot be fed raw, because it contains the enzyme Avidin which binds to the vitamin Biotin—making it unavailable to your cat. Puree the liver in a food processor or chop into small pieces with a knife or kitchen shears. Some cats dislike eating little chunks of liver, while others love it. You can experiment to see which your cat prefers. Add the water. Give the egg yolk, liver and water mix a whisk. Measure your dry ingredients precisely. Use a proper set of measuring spoons and measure level. Pull apart the taurine capsules to total 2000 mg. The taurine bottle will indicate how much taurine is in each capsule. A typical size would be 500 mg taurine per capsule. You would need four capsules of taurine in that case. Open the salmon oil capsule and squeeze contents into the bowl of the other ingredients. The salmon oil bottle will indicate how much salmon oil is in each capsule. A typical size would be 1000 mg per capsule. You would need two capsules of salmon oil in that case. Do not use cod liver oil instead. Give the mixture another thorough whisk until smooth. Combine with the previous ingredients until evenly mixed. Unless your cat enjoys eating chunks of heart meat, grind it before adding to the mix. Finally, add your muscle meat. While you can use chunks of meat, ground meats create a nicely textured cat food which is easily digested and prevents your cat from possibly picking out what she likes and leaving the rest. Evenly stir the muscle meat and blend with other ingredients. To serve: turn out a 1/4 cup of finished raw meat cat food onto a serving dish. For storage, divide into daily portions or individual meals and freeze in small freezer containers or ice cube trays. Thaw overnight in the refrigerator or float frozen food in its container in a sink of very warm water for a quick thaw. Thanks goes out to reader Lauren for photo contributions of Bessie.